Castlefield Gallery was saddened to hear of Ben Cove’s unexpected death on the 16 March after a short illness. Born in 1974, Ben grew up in Manchester and lived and worked in London. In 2004 Castlefield Gallery had the pleasure of working with Ben towards his 2nd solo exhibition, and his first in a public art gallery. 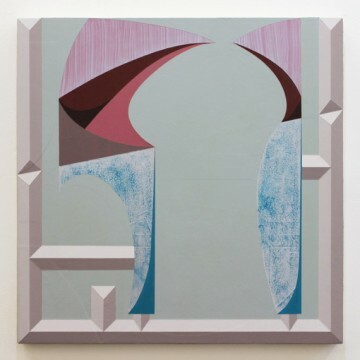 Castlefield Gallery is also extremely grateful to Ben for donating a work to the gallery’s fundraising auction in 2012. “Ben was a brilliant artist, always pushing boundaries and never settling on what he had already achieved. I remember first seeing his larger than life paintings on wheels in the early 2000s. Then in 2004 we worked with Ben on his solo exhibition New Plastic Universe in which he explored his interest in the built environment and conceptual urban planning, alongside critical visual culture. We have continued to follow Ben’s work since. We will miss Ben’s art, wit and optimistic outlook on life.” Kwong Lee, Director, Castlefield Gallery.